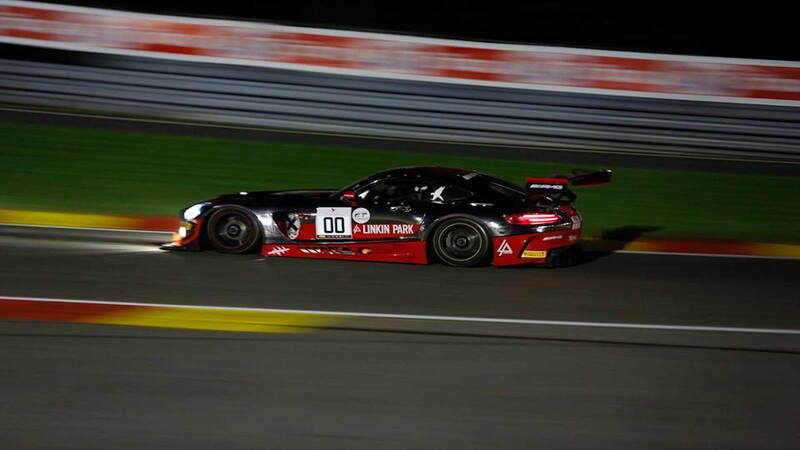 Check out a famous rock band's influence on one of the Mercedes Benz's most amazing cars, the AMG GT3 styled by Linkin Park for 24 hours of Spa Race. 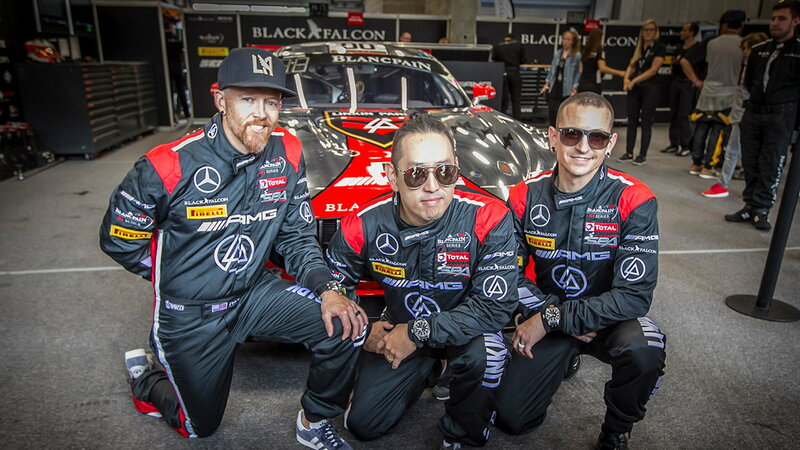 One of the bands' more famous songs, Papercut, was selected to introduce the AMG GTR in an International Campaign for the 24 hours Spa race featuring the Blancpain GT Series. This was presented at the Good Wood festival in June 2016. Here's the campaign video! >>Join the conversation about specialty designed Mercedes-Benz vehicles right here in the forum. 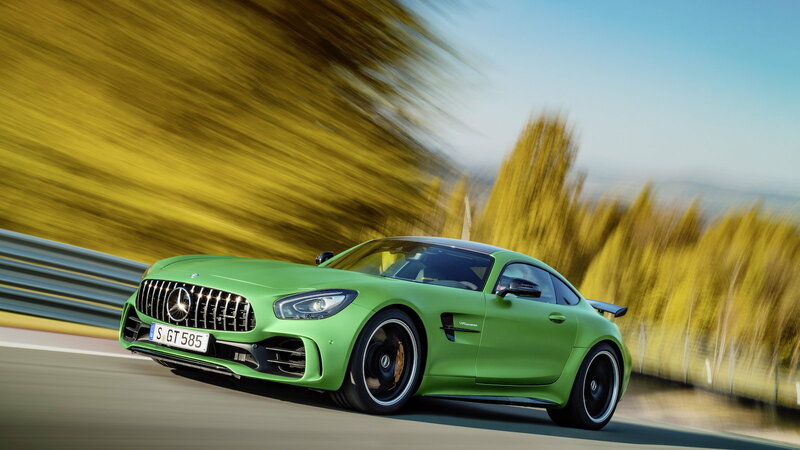 The design behind the #00 numbered AMG GTR was made by DJ Joe Hahn of Linkin Park. You can see the Linkin Park logo don each panel of this vehicle profoundly. For DJ Joe Hahn, this was an amazing experience as he is an artist himself. This example really became a reality to see the beast perform on the track. Hahn and Mike Shinoda studied art & graphic design at "Art Center College of Design" in Pasadena, CA. 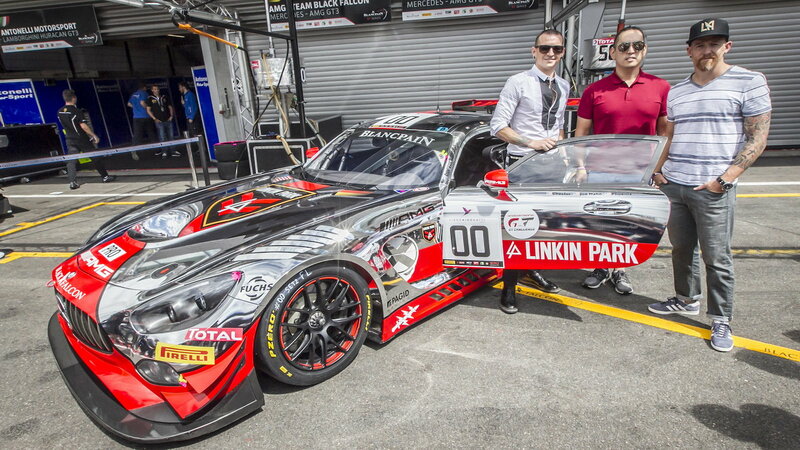 It's no surprise at this point to know that the Linkin Park band are real automotive enthusiasts. They had an opportunity of showing the world this passion and they did it through designing and representing a world renowned name in Automotive excellence. 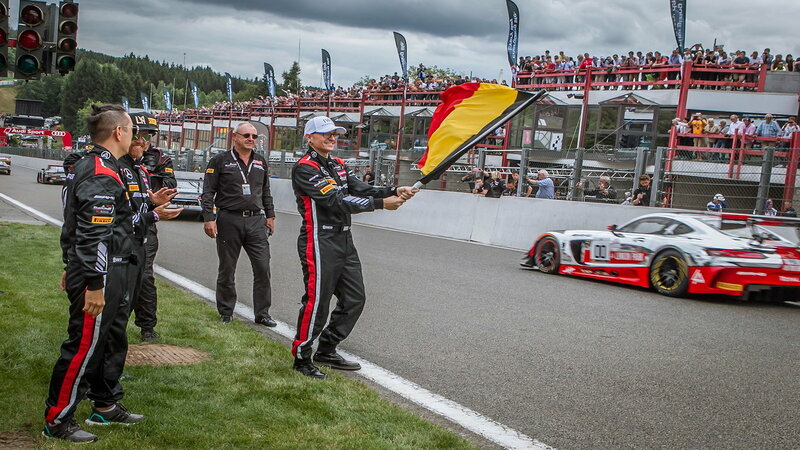 They also got to wave the start flag to cheer on their drivers at the competition! As if it was not enough to don the entire vehicle in a slick design representing the renowned band, they went one step further and made sure their racing suits were matching the car's theme and colors. Talk about artistic consistency! Whether it's the stage or the race track, they wanted the message to carry throughout. They did so when Mercedes Benz gained a historical four fold victory at the 24 hour race at Nurburgring! 6. Linkin Park Driving Academy? 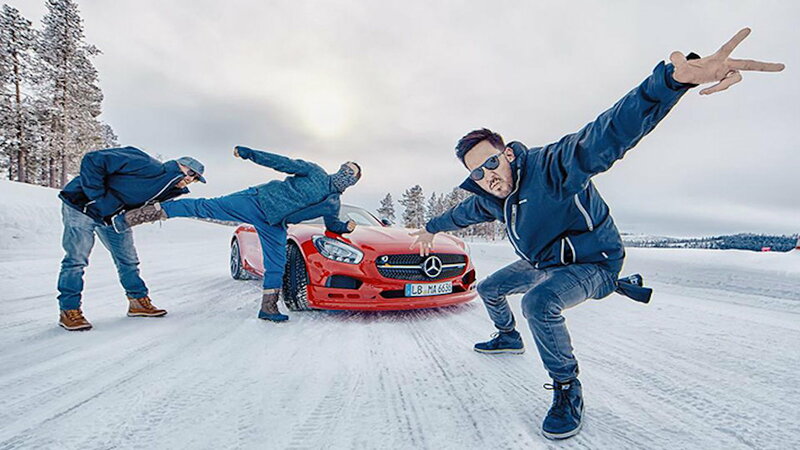 Linkin Park continues their passion for AMG automotive excellence by joining the AMG Driving Academy in Sweden. Away from the noise and crowds, they tore up some icy mountain slopes in some AMG GT's. For help with your maintenance and repair projects, please check out our how-to section in the MBWorld Forum.